Browned Butter is as great as it might sound, but I also have this love affair with butter, so I may be biased in my opinion. Sour cream in cookies is a new thing for me, but I like sour cream and I like cookies, so I figured why not. And why not make them again and again. [Seriously, I wonder if I'll ever meet a cookie I don't like-we're on day 16 and I haven't yet this year.] Something makes these cookies light and airy even though the dough seems heavy and sticky. I received this cookbook several years ago and as always, BHG has it made in the goodies department-they know their stuff. I have to say, I must do the icing wrong, but I should have doubled the batch to cover the cookies I made-I ended up with naked cookies, and even though they still taste delicious, the frosting is amazing. In a large mixing bowl, beat butter on medium speed for 30 seconds. Beat in brown sugar, baking soda, baking powder, and salt until combined. Beat in eggs and vanilla until fluffy. Add flour and sour cream to the mixture and mix well. Stir in walnuts. 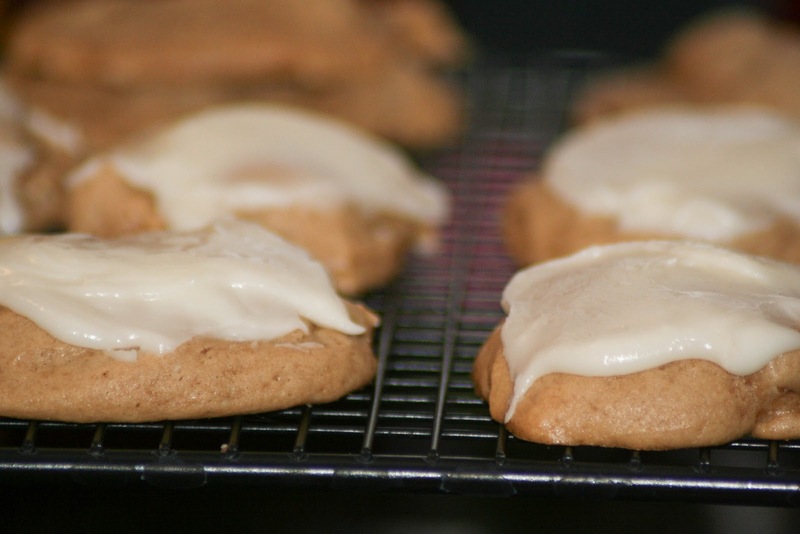 Drop by rounded teaspoonful onto greased cookie sheets and bak at 350 degrees for 10 minutes. In a small pan, heat butter over medium heat until butter turns light brown. Stir in the powdered sugar and add enough boiling water to make the icing smooth and easy to spread (but not runny). Frost cookies immediately. If icing becomes tough to work with, add a few drops of hot water. I'm willing to bet the difference you are noticing is the sour cream. 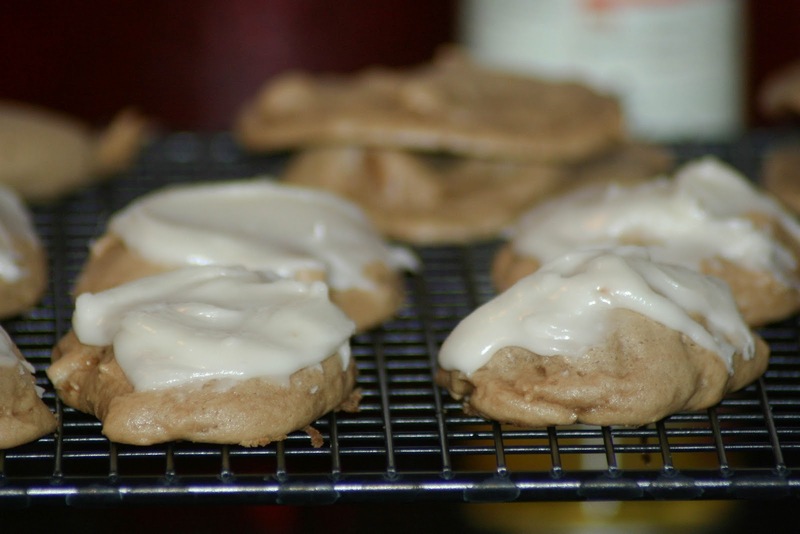 Our favorite sugar cookie recipe has sour cream (only 3 Tbsp. 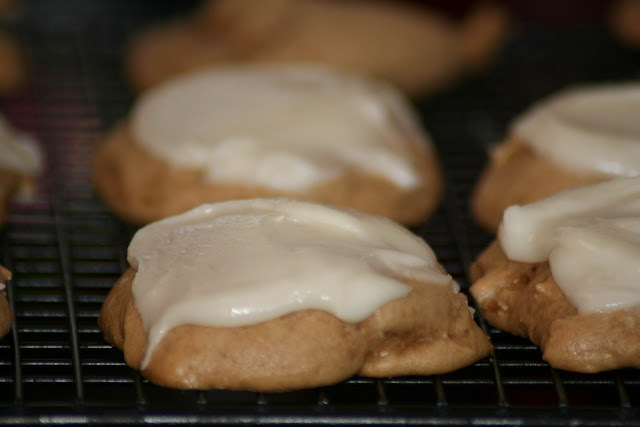 ), but it keeps them moist and they seem softer than most sugar cookies.